Power Rangers Operation Overdrive Episode 25: "Things Not Said"
It should be no surprise to anyone that Operation Overdrive sits at the bottom of the pile for me when it comes to ranking Power Rangers seasons. (That's not to say that the show doesn't have its fans, because it certainly does.) But every season of Power Rangers has its bright points. 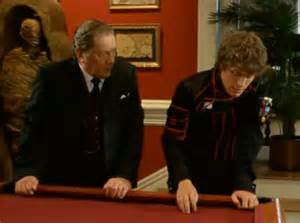 Overdrive's brightest points were always the relationship between Red Ranger, Mack and his Alfred-esque Butler, Spencer. Things Not Said goes from being your standard Overdrive fare into a very heartfelt character drama. The revelation that Mack, arguably the most human of the group, is an Android created by his father hit a lot of people hard when the show first aired. Mack has to face not only the fact that his entire life is a lie, with programmed memories thanks to his dad, but that he may be a liability on the battlefield if he shuts down. It takes Spencer to remind him that Mack is who he is in spite of being an Android. This revelation is something that the series builds to for a long time, and is really one of the better season-long plots Power Rangers has produced. What makes it even better is that a few episodes prior, (Once a Ranger, another of the better Overdrive episodes, if just because of the return of old rangers.) it is Mack who doesn't want to give up being a Power Ranger, while his teammates sort of just casually go back to what they were doing before. Perhaps the best part of the episode is the amount of shade Mack gets to throw at his dad. And yeah, he gets his Battleizer too. I call that a win/win. I think the thing that bothers me most, for this episode in particular, is that Tyzonn gets sidelined for no reason whatsoever. (I mean, there was a reason in Boukenger, but that's besides the point.) He just kind of stands there...cheer leading. And then they throw him in the middle of the lineup when Mack can't be there...but he's barely holding together being a cheerleader. Like all the Power Rangers series past In Space, we're likely going to have some sort of nod to Overdrive's focal city. (San Angeles, if memory serves me. They don't mention it as much as other towns.) 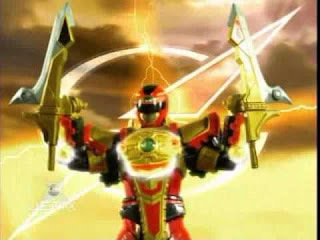 Beyond that, there's the rumors that the film will feature the rangers trying to stop Rita from gathering certain valuable things, much like in Overdrive's entirety. Hopefully the movie will also be able to pull of the kind of character drama seen in this episode, especially with Jason and his accident or incident that they've hinted at in the trailers.